Headaches happen for many different reasons and in varying degrees. This blend was formulated to naturally help relieve headache pain by relaxing, cooling, soothing, and calming the triggers responsible. 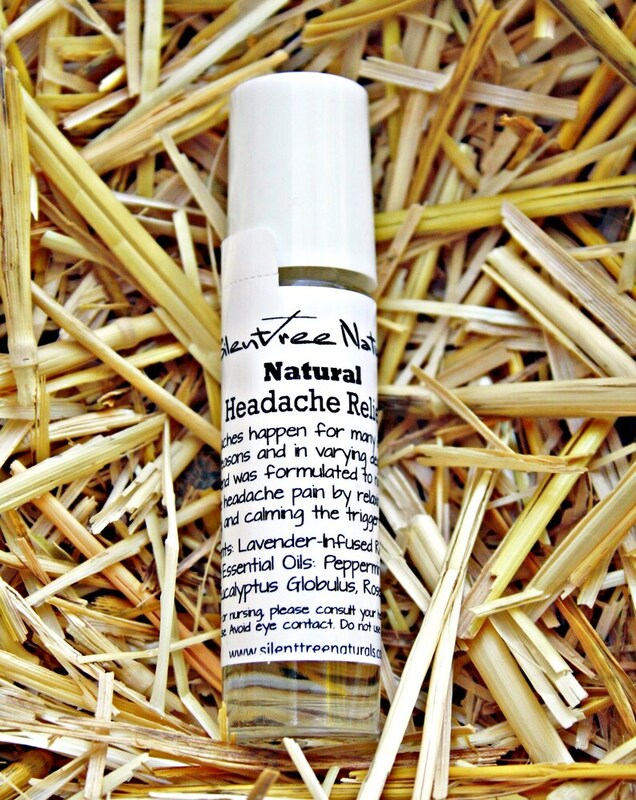 It is based in a Lavender-infused Sunflower Oil and contains some of the best essential oils known to help with headache relief. Peppermint Essential Oil benefits include its cooling effect on the skin, ability to inhibit muscle contractions and in stimulating blood flow. Applying topically across the forehead and on the temples effectively alleviates a tension headache. Lavender essential oil has a variety of therapeutic properties. It induces relaxation, relieves tension and stress, and may work as a sedative, antidepressant, anti-anxiety, and calming agent. Lavender oil can be used to treat headaches caused by anxiety and help minimize pain in the nervous system, that can lead to migraine attacks. Eucalyptus Globulus Essential Oil may be beneficial to those suffering from sinus headaches by opening the nasal airways to eliminate sinus pressure, while it's anti-inflammatory properties may promote pain-reducing and relaxing effects to those suffering from tension headaches. Rosemary essential oil is beneficial in reducing stress, tension, and muscle jerks, and improving sleeping patterns. Apply to the temples, forehead, chest, and back of the neck. If pregnant or nursing, please consult your healthcare provider before use. Avoid eye contact. Do not use on broken skin. Love this shop, ordered more headache relief for my daughter, she says this is the best she has ever used for her migraine headaches. It was delivered fast, great customer service. We will be back! Awesome, my daughter has severe migraines and needed the headache oil for relief. She is so happy with this oil as she has tried oils from many different Etsy shops and has found some work some don't. This worked and eased her pain fast. I would recommend this shop and will be back to purchase more.